This topic contains 4 replies, has 4 voices, and was last updated by BT Nutritionist 1 year ago. 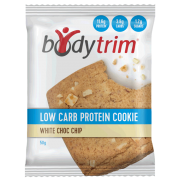 I have noticed that some recipes from the old Bodytrim program are available on the Bodytrim facebook page. Are these still good to use with this new program. Good spotting! Yes, we know how much trimmers enjoyed some of these older recipes so we have been busy updating them so that they comply with the new program. There may be some slight changes in ingredient/amounts. The ones posted on the Facebook page have also been added to our recipe pages here on the website and they are absolutely suitable. I’m curious to hear the answer to this last question. As I too did this year’s ago when there were no shakes involved. The Bodytrim program has changed since Geoff was involved- some years ago now. 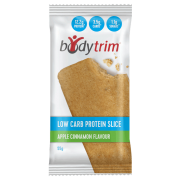 The original program was a very high protein, very low carbohydrate diet and this put the body into a state of ‘Ketosis’, whereby there is no carbohydrate energy to be broken down and so the body begins to break down it’s fat stores instead. 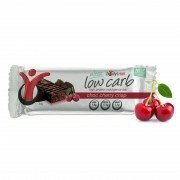 While ketogenic or very low carb diets can result in fast weight loss, this type of diet tends to be incredibly restrictive, which can often mean that any good results are short lived due to the diet not being easily sustainable in the long term – the number of returning Body Trimmers we have who previously had success on the original program but were unable to maintain their weight loss backs this. The newer program allows for more freedom in terms of what you can eat (following the initial 3 FAST Shake days of course) and we have received a lot of feedback from trimmers saying that they find this program much more manageable and enjoyable as they feel they can enjoy a wider variety of foods. The program still encourages high protein and a reasonably low carb intake- just not as extreme as previously. 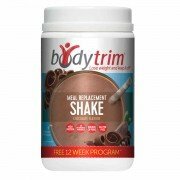 In terms of the use of shakes, we are aware that many weight loss programs can be overwhelming and so the meal replacement shakes provide a nutritionally- balanced, calorie- controlled meal option to help trimmers ease into the program. They are convenient and provide simplicity for the initial part of the program, before we start to introduce and educate on real foods.